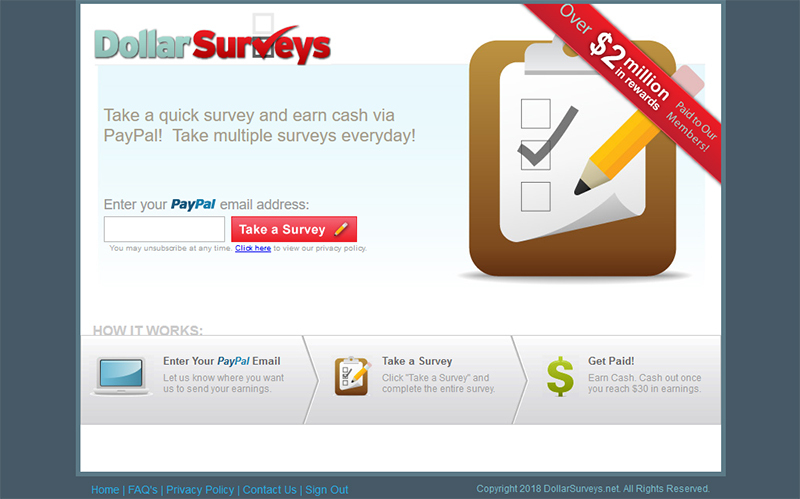 Dollar Surveys Review – Worth Signing Up For? You are here: Home / review / Dollar Surveys Review – Worth Signing Up For? 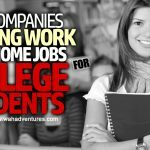 If you’re looking for some extra work online, chances are you are someone who is a self-starter and has motivation to earn money from home. Dollar Surveys is the market research company aimed at attracting these types of people, with a user-directed experience. While the concept is good, in practice the site is less than perfect. Let’s look further at what Dollar Surveys has to offer, and whether it’s worth your time and effort. What is Dollar Surveys? Is it a scam or legit? Dollar Surveys is one of the companies led by Digital Branding LLC. The business was started in 2004, incorporated in 2005, and registered with the Better Business Bureau (BBB) in 2014. They have accreditation with the BBB, and the highest possible rating of A+, although bear in mind that rating belongs to the parent company and not to Dollar Surveys. The company who owns the site seem to be respectable. 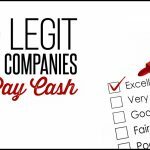 There are mixed reviews online, but many people claim to have received payments through this company. Dollar Surveys doesn’t require a payment up front to be a member, doesn’t require too many personal details, and doesn’t promise to make you rich. However, that doesn’t necessarily mean it’s worth signing up for. Market research sites work by having companies pay the site to access their pool of members. The client company can request what type of people they want to ask, the questions they need answers for and many more options. The market research site offers the survey to its members and rewards the ones who qualify with a small percentage of the payout. Hopefully, for the members, those tiny amounts add up to a payout. While most other sites pre-screen members for the surveys they are sent, Dollar Surveys leaves the decision about which surveys to attempt for the member to decide. What makes Dollar Survey different? Most survey sites make you complete a long sign up process, complete with a long profile, unpaid surveys about your lifestyle and interests, and confirming your email. Dollar Survey manages to avoid all of this – all you will need is a PayPal account and the email address you used for it. With that information, you can go straight in and start taking surveys. When you enter the site, the available surveys will be listed. There is no need to wait for surveys to be emailed – in fact, some people claim they were less likely to be credited for surveys that were sent via email. Click on the link, which will take you to a survey offsite. You will then have to answer screening questions to see if you’re in the groups that they need information from. Another area of difference is that they don’t use a points system, or give you rewards based on the length or the complexity of the survey. Most surveys take between 5-25 minutes, but no matter what, you are awarded a flat rate of $1. That’s a comparatively good rate for the shorter surveys, and below average for the longer ones. Cash out minimum is $30, so you will need to complete at least 30 surveys before you will be rewarded. Because you don’t have a complex member’s area that lists your previous participation and totals, you might want to keep your own records, so you know when you’re approaching cash out. Once you put in your request, you should be credited within 7 days. If you want to cancel your account – simply stop visiting the site. Any person who is over the age of 18 and a legal resident of the U.S. can join. However, there is only one account allowed per household. You will need a PayPal account and the email address associated with that account to receive your payment. If you make a mistake and give the wrong address, unless you correct it by contacting the support team, you won’t get paid. Each survey you complete will earn you $1 – if you get screened out in the first few questions, you will not get paid. When you reach $30, you can request your payment. It will be sent 7 days after your request. If you don’t see it by then, you should contact customer support by the supplied email address on the site. Be patient about your payouts. 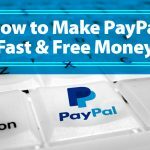 People seem to misunderstand what the company means when it says, “get paid $1 into your PayPal for every survey you take”. You will eventually be credited the money you earn (all going well), but not until you have completed the minimum 30 surveys to qualify you to cash out. The quick sign-up seems like a bonus, until you realize how much time is saved by other companies pre-screening you (even though that’s not always a perfect system either). There might be available surveys, but whether you qualify for them is a different matter. Even when you get paid, the rate of return for your time is not good, so it’s obviously much worse when you spend your time getting rejected. Reaching $30 is harder than you think. There have been complaints that people stop receiving surveys when they get near the $30 mark. Whether that’s true or not, it’s not a wonderland full of available, short, interesting surveys. Sometimes it will feel like very hard work for a $1 payout. Read the FAQs before beginning. Many people comment on the lack of customer support. It’s not true that they only give you the FAQs and leave you to look after yourself. They very understandably say they won’t answer your question if the answer is already in the FAQ section – it’s wasting time for both of you. You should always know what you’re getting into before you sign up to any market research site. Dollar Surveys obviously has some negative points to the carefree style. But how does it compare to other popular sites? The truth is – not very well. While you don’t have as much commitment with this site, you have a much higher chance of wasting your time with surveys you won’t qualify for. 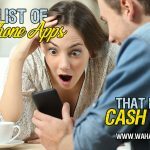 Other sites like Swagbucks (review), FusionCash (review) and Survey Junkie (review) are much better alternatives. 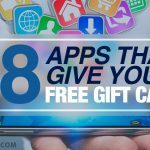 Most have more than one way to earn money, from GPT sites like Swagbucks with hundreds of money-making opportunities, to sites that primarily offer surveys but still allow members to participate in sweepstakes, competitions, and many other opportunities. The purpose of a market research site is to connect their members with their clients. With Dollar Survey the clients still get the same service, but the members (i.e. you) aren’t being looked after. The only time that I would recommend this site is if you are already a member of other sites and are looking to increase the number of surveys available to you. Should you join Dollar Surveys? If you are looking for a company with a simple concept that will probably deliver what they promise, then you might want to look into them as one of a range of market research sites you join. 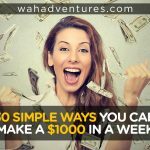 On its own, you are more likely to waste time than gain money. The selling point of a quick sign-in isn’t that good when you realize that you will spend much more time filling in screening questions for each survey you attempt. Same goes with the standard payout – if you somehow come across 30 surveys that only take five minutes and pay $1, then it might be worth it. Of course, that’s next to impossible. As an alternative option when you’ve run out of options on the higher-paying sites? As a survey site where you expect to earn decent money? There are better, higher-paying options out there. You won’t get rich quick participating in market research, but you can probably do better than Dollar Survey.